Psychics say that having a green aura is a good thing. Most effects artists will disagree. A well made key combines an illusion of depth with smooth edges and carefully balanced colors. It's not magic, but when it works, it comes close. 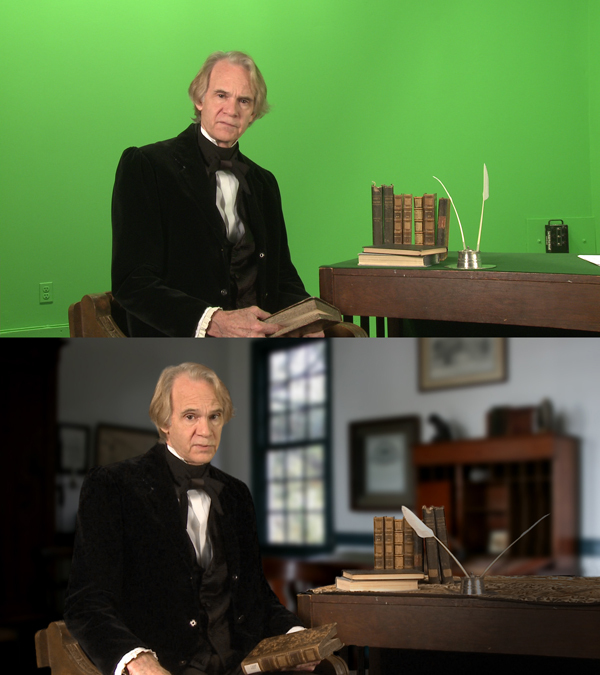 On Wednesday, October 17th a panel of video effects experts will explain the nuances of green/blue screen keying, matte choking, spill suppression, garbage masks and edge feathering that go into making a believable chroma key effect. Networking starts at 6:30 with the presentation starting at 7:15.